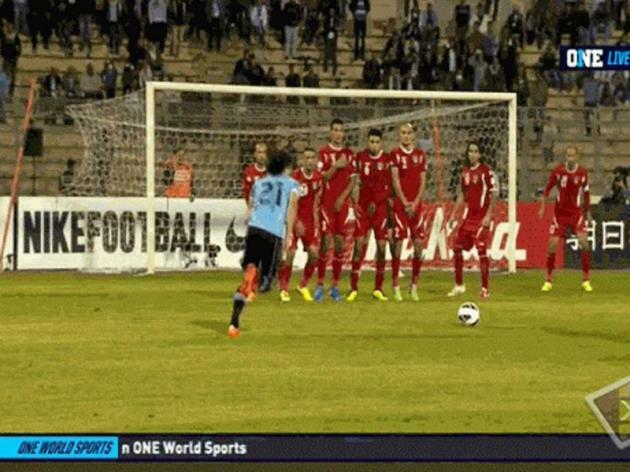 Uruguay Player Scores Unbelievable Free Kick. Goalie Dumbfounded. Uruguay took Jordan apart in a 5-0 obliteration. They secured a trip to the 2014 World Cup in Brazil. The goal of the match came from PSG striker Edinson Cavani, who curled a beautiful free kick into the top right corner in stoppage time to make it 5-0.